I squealed when I saw this week’s travel theme! Yes, yes, yes! I’m in the mood for some bragging. I play very few sports so this bragging is not about me. It’s about my friend. She’s heavily involved in the Quidditch community. Yes, I said Quidditch as in the sport that Harry Potter plays on flying brooms. She recently attended the Quidditch World Cup in which Australia came first. Way to go Australia! The Quidditch Canada National Team placed 4th out of 21 teams at the IQA Quidditch World Cup. Pretty good if you ask me! What to see how Quidditch is played; follow this link to YouTube videos of Quidditch World Cup 2016. 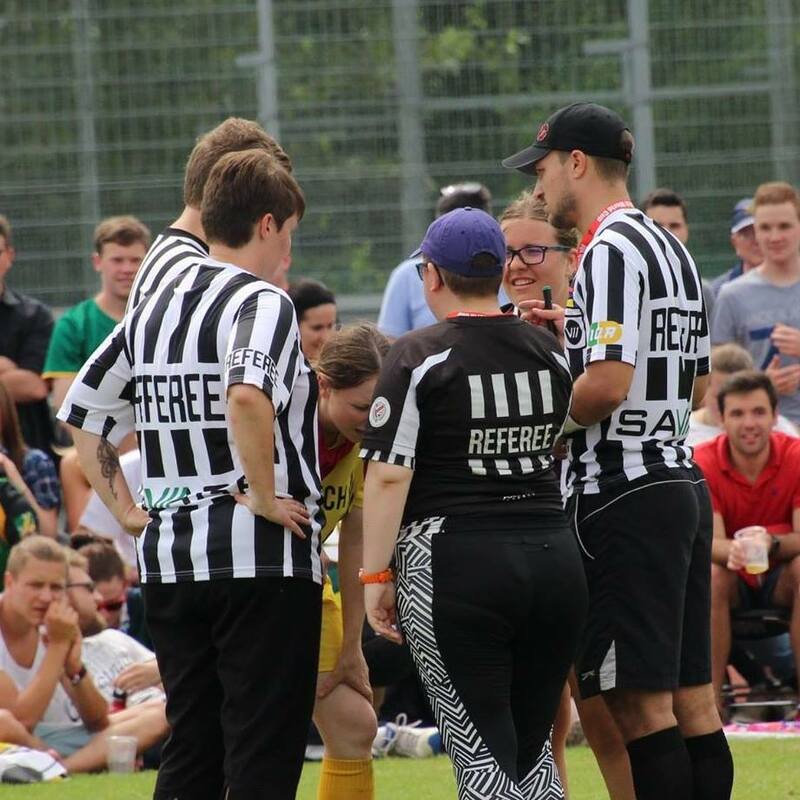 My friend not only plays Quidditch, she also coaches and refs. She was at the World Cup mostly as a ref, I do believe. I’m in awe. She brings imaginary sports to life. I’m more of a non-athlete. Sometimes I’ll watch ice skating on CBC. Occasionally, I will go and watch a sports game if nieces or nephews (or grand-nieces/nephews) are playing. I never really got encouraged into any sports. I played a bit in elementary school but by the time I started grade eight I was relegated to the sidelines (like scoring in baseball – I can still fill in and read baseball score cards)! Sports are harder to pick up as you get older. I do like walking. I do a lot of solitary walking but sometimes I wish I had my friend’s bravery to try something new and spectacular like Quidditch. This is not my picture. I cribbed it from my friend’s FaceBook page. (I may have to remove it but I hope she’ll be okay with me using it). Congratulations to all the Quidditch athletes world-wide. This work by solitaryspinster [u know what goes here] gmail.com is licensed under a Creative Commons Attribution-Noncommercial-Share Alike 2.5 Canada License.